Low-tech, but high-grade shaving and hair stencil template makes keeping a neat neckline simple. 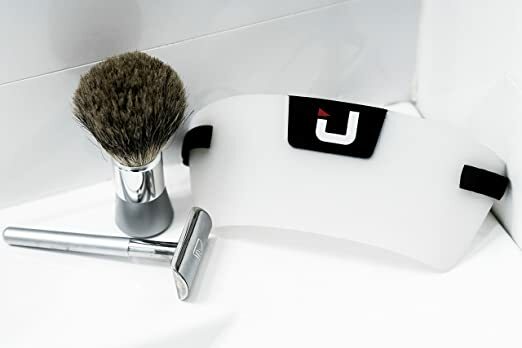 Tool makes it easy to maintain the neckline at home with no risk of razor nicks. 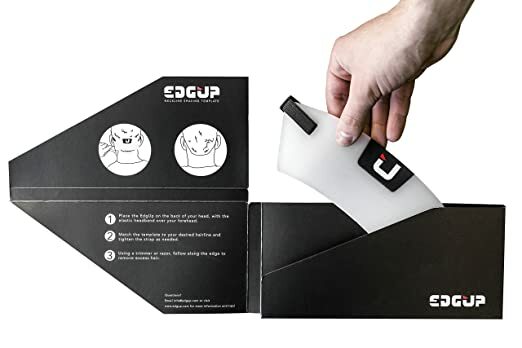 Just match the super-flexible medical grade silicone up to the desired hairline, reach back and trim away following the edge for a perfectly clean neckline. 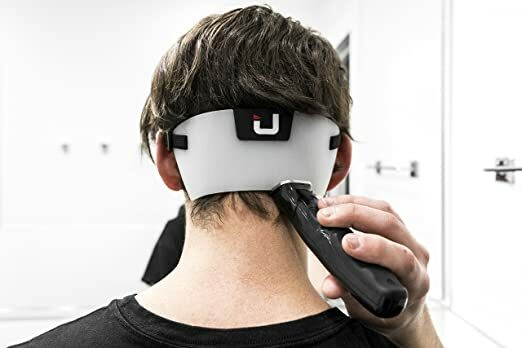 The silicone matches all the contours of the back of the head/neck, won’t slip around during trimming and is durable enough to avoid damage from any razor or trimmer.